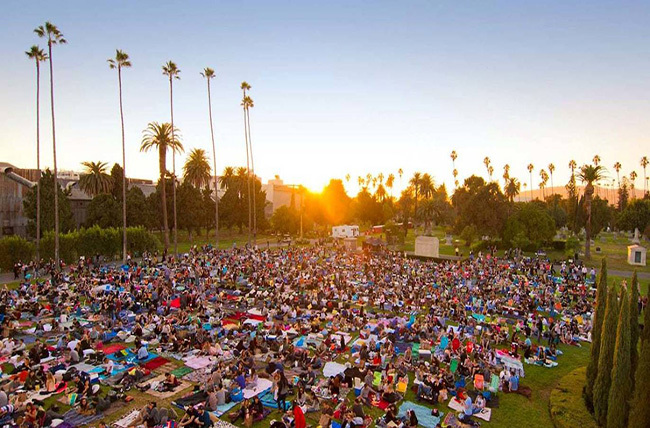 This Saturday June 30th and thru July 28th, 2018, movie-lovers will flock to Hollywood Forever, toting folding chairs, picnic blankets, snack spreads and lots of booze. Each year, Cinespia brings classic cult favorites to the hallowed resting place of such Hollywood greats as Rudolph Valentino and Bugsy Siegel. This year’s first batch of screenings includes The Neverending Story, Drive, Almost Famous and Casablanca. For more info, please click here.